Mystery of the Murdered Mascot was 10 years behind them. RICHIE GAGEN (Bobby Boothby) is so excited to be making his Pickwick & Frolic debut! 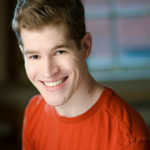 He most recently appeared at Blank Canvas Theatre in Will We Rock You (Ensemble). 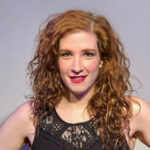 Other previous theatre credits include The Little Mermaid (Ensemble), City of Angels (Ensemble), Body Awareness (Jared), Mary Poppins (Valentine/Ensemble), American Idiot (Swing/Pit Vocalist) and She Loves Me (Busboy/Ensemble), all at Beck Center for the Arts. He has also performed in several shows with Talespinner Children’s Theatre. When not performing, Richie is never too far from the stage by working as an office assistant at Playhouse Square. ADRIENNE KROL (Katie Shame) is so pleased to be in her fourth murder mystery at Pickwick after originating the roles of Joyce Ann in Bachelorettes Gone Homicidal, Lacey LeFloria in #KillBridezilla and Rita Funkhauser in Beauty Queen Killer. She also starred as Kimi in Kimi’s Vegas Bachelorette Party Burlesque in the Frolic Cabaret as well as this season’s Bonk and Pickwick’s Holiday Kick-off Cabaret. She is grateful to her parents for their persistent support. youtube.com/paulypauldouglas. Paul is honored to be making his Pickwick & Frolic debut! ALEX PETSCHE (Heidi Tittles) appears in her second show at Pickwick after having originated the role of Gracie Hart in Beauty Queen Killer. Some of her most recent credits include The Narrator in Joseph…Dreamcoat, Little Red in Into The Woods, Wednesday in The Addams Family, and Truly Scrumptious in Chitty Chitty Bang Bang. 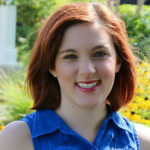 She studied musical theatre at KSU and currently studies early childhood education at Notre Dame collete. She thanks her mom for being her best teacher and biggest role model, and her husband for his continued support. 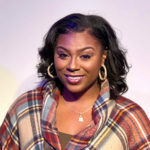 CHELSEA PRYOR (Paula Pretty) is a classically trained professional vocalist from Cleveland who has been singing since the age of two. She has performed extensively throughout Northeast Ohio including shows at the Marriott Grand Ballroom downtown, Take 5 Jazz Club, Landerhaven Executive Caterers and she has sung the National Anthem for the Cavaliers twice. Chelsea is making her acting debut with Pickwick & Frolic. She will also appear this season in Pickwick’s Holiday Kick-Off Cabaret. 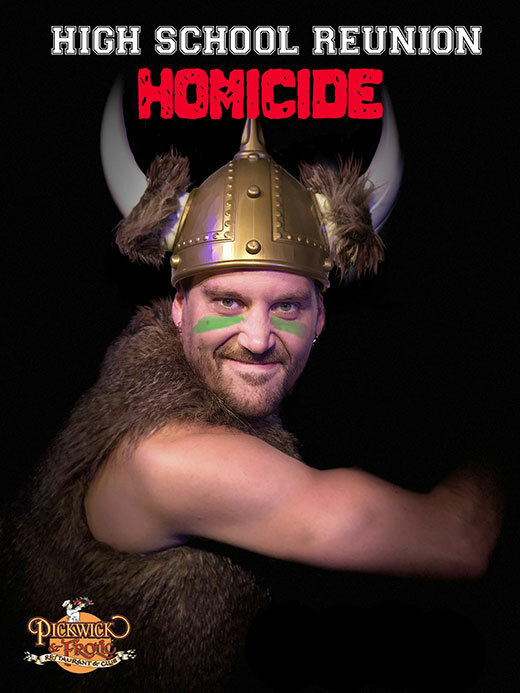 ROBERT WALLAND (S. Umpleby), a Cleveland area native, returns to the Pickwick stage after originating the role of Joe in Bachelorettes Gone Homicidal and Officer Gary in The All-Girl Prison Murders as well as hosting The Hump Day Show in Hilarities. He has done stand-up comedy and improv throughout California and Ohio as well as commercial and film work here in Cleveland. Robert thanks his wonderful family and friends for all the love and support through the years. MICHAEL ROGALINER (Writer/Director/Producer) and JOHN DiSANTO (Music Director) have created and produced original shows for Pickwick & Frolic for over 16 years. Their original Murder Mystery Comedies include Stage Struck, The Red Carpet Murders, Cruise Ship Killer, Psych Ward Whacker, Murder at the Oasis, Toga Party Terror, Bachelorettes Gone Homicidal, The All-Girl Prison Murder, #KillBridezilla, Beauty Queen Killer and High School Reunion Homicide. Their Pickwick cabarets include various versions of Burlesque, Cabaret Rock, The Stylettes, Forever Plaid and The Midnight Martini Show in the Frolic Cabaret as well as The Hump Day Show and Toga! in Hilarities East 4th Street Theatre. This year they debut at Pickwick a Theatrical Seance and a Drag Show. John is a theatre and church music director and composer whose primary instruments include pipe organ and harp. 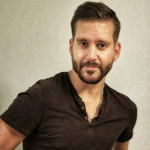 Michael has an MFA in theatre directing from Syracuse University and has directed plays and musicals throughout NE Ohio and Central New York including such favorites as Evita, Pippin, Nunsense, Jesus Christ Superstar, Godspell and Anything Goes.